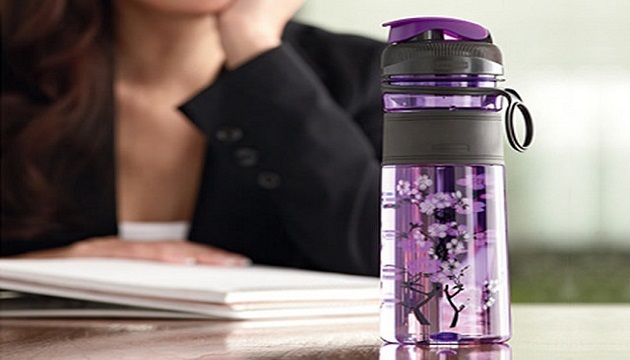 Home » Live Well » Glass Or Plastic: Which Bottles Should You Choose For Drinking Water? Glass Or Plastic: Which Bottles Should You Choose For Drinking Water? Markets seem to be flooded with attractive looking glass and plastic bottles giving users countless options to choose from.It is also a known fact that plastic has earned a bad reputation in recent times due to environmental pollution and harmful chemicals that it contains. So, does this mean that all plastic is bad and all glass is good? Read on to find out. While the Cancer Research UK claims that there is no substantial evidence that plastic bottles impart harmful chemicals like dioxin into drinking water, there are other bodies like breastcancer.org which urge users to switch to glass or aluminium bottles for drinking water due to risk of BPA (a harmful chemical linked to cancer) getting mixed with the water. 1 . Always check if your plastic bottles are Bisphenol A (BPA) free while buying them. BPA is a harmful toxin that leaches into your drinking water and causes harmful effects on human health. 2 . Glass bottles are made out of natural substances (sand and lime) and are therefore a safer option since there is no risk of toxicity in water. 3 . Due to its inert nature, glass preserves the natural taste of water far better than plastic even when water is stored for a number of days. Never drink stored water from plastic bottles. 4 . Be careful of not to keep plastic bottles filled with drinking water out in the sunshine as sun degrades the toxins of plastic (especially BPA) faster and it can mix with the water you drink. 5 . If you are fond of having flavored water with citrus or other flavors, using a glass bottle is a better option as plastic might react with the acid in lemons/ oranges and release toxins that also alter the taste. 6 . Glass bottles are much easier to clean thoroughly. In case, you are not able to clean plastic bottles well, bacteria can thrive in them and harm you. 7 . Glass bottles work much better for feeding babies also since they can be much easily sterilized. 8 . To overcome the issue of breakability of glass bottles, you can explore glass bottle options used for sports beverages that wrap the bottles in a silicon sleeve so that glass does not shatter in case the bottle breaks. 9 . Do not use harsh cleaners or hot water for cleaning plastic bottles especially ones containing polycarbonate since it can cause polycarbonate to break down quickly. Use gentle cleaner and warm water. 10 . It is better not to use plastic bottles for storing hot water/liquids since some specific types of chemical can break down and mix with water. 11 . Not all plastic bottles are meant for reuse, plastic bottles which we purchase with mineral water, cold drinks etc are meant to be used only once, if you check the bottom of these bottles, you will find a triangle with the number 1 in it. This symbol indicates that refilling the bottle is not recommended. Reuse causes leeching of carcinogenic substances which get mixed with the liquid in the bottle, making this one of the most hazardous plastic use. The Bottom Line: Overall, glass bottles are a much safer option than plastic bottles for drinking water. They are also better for the environment since glass can be recycled endlessly. In case you have children in the house and cannot use glass for safety reasons, you can also opt for steel or aluminium bottles.Drink Healthy, Stay Healthy! 11 Hidden Sources Of Sugar You Should Be Aware Of!